1/2"-drive wrench measures 15-148 ft.-lbs. and rotation angle. 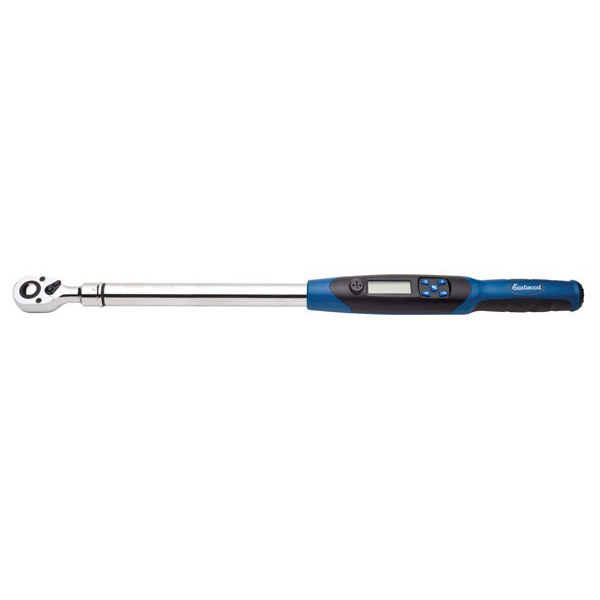 The Eastwood 1/2" Digital Electronic Torque-Angle Wrench is built to provide the precise torque and angle settings for today's vehicles. 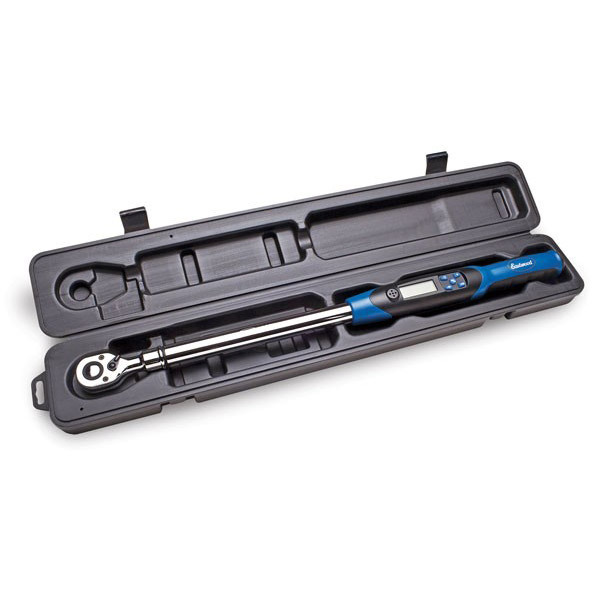 Eastwood's heavy-duty, 1/2"-drive, Digital Torque Wrench measures more accurately than mechanical torque wrenches, and warns you both visually and audibly, so you can achieve the precise torque and rotation angle required for work on current vehicles. The information contained herein is based on data considered accurate and reliable to the best of our knowledge and belief as of the date compiled. However no warranty is expressed or implied regarding the accuracy of these data or the results to be obtained from the use hereof. Operating Temperature: 32°F - 104°F [0° - 40° C]. Bought this because I needed something that did angles as well as "normal" torque. This was not expensive compared to others but works great. The directions are ok, not perfect, but it did not take long to figure out how to set the wrench and put it to work. I didn't see a problem with "slop" as another had written. The light and buzzer feedback is different from what I'm used to but it works well. I have the 1/2 inch version and love it. I have been in the business of repairing vehicles now for 20+ years. Made my living using what I thought was the best tools out there, Snap-On! Saw this product online, so I figured what the heck. Purchased the 1/2 inch digital angle torque wrench for my home garage. Instead took it to work when it came in. Just so happened I was in the middle of assembling a 6.6L duramax diesel engine. The torque and the angles are all dead on as my high dollar Snap-On wrench. Great product and for a fraction of the cost. Look forward to purchasing the 3/8 wrench next! I have not used it much yet,so far seems good.I use 2 Snap On digital torque wrenches at work,they work very well.I bought this for home use.Torque check on Snap On truck gauge showed 98 pounds with wrench set at 100,within the 2% advertised.I am used to progressive lights going to green,takes some getting used to with light turning red at torque setting.I like the preset value option.I have not used the angle torque yet,seems sensitive,not sure about backlash issue mentioned by some.So far I am pleased with this wrench for my intended use,can't beat the price for what it has to offer.The battery cover is a little trickey,my only complaint so far. I have been in the business of repairing engines now for 20+ years. Made my living using what I thought was the best tools out there, Craftsman, Snap On! Saw this product online, so I figured what the heck. Purchased the 3/8 & 1/2 inch digital angle torque wrench for my garage. When it came in I Just so happened I was in the middle of assembling a 7L (426 Hemi) engine. The torque and the angles are all dead on as my high dollar Snap-On wrench. Great product and for a fraction of the cost. After trying to use some cheap click type wrenches that didn't always click, I bought this wrench to use on my motorcycles. It's a little complicated to program, but with the five memory settings it's easy to use once it's set up. The audible beeper and the indicator lights make it easy to get the correct torque even when the display is not visible. This wrench has the polished look and solid hefty feel of a quality tool. I'm quite please with it. very smooth racheting; 1st use was torquing wheel nuts; numbers were easy to read, even in broad daylight; instructions could be better written a little better to understand when setting torque values; hear beeps clearly when reaching and achiving set torque; will get used to it as I use it more; next project will be assembling an engine; I have Snap-On torque wrenches and this one ranks up there with them; all in all, a very good tool to have in the toolbox. We just finished a Chevy 454, torqued everything with my new wrench, and checked with my old Snap On torque wrench, everything torqued rite on the money. Just an awesome tool!!! Thank you Eastwood Tools! This torque wrench is awesome . I used in my shop plenty of times my favorite feature would be the back light . As for the torque angle it's dead on and performs as well as one of my co workers Matco torque wrench . The preset torque an angles make jobs fly by with the simple touch of a button . The best investment I have made yet ..
got this tool off the snap-on truck for 20 bucks. had to try it. as a master tech. never had a digital torq. wrench. other techs said get the snap-on. nope, try this eastwood 1/2 drive out. work like a champ. does everything the over price ones do. thank you eastwood. Being a tradesperson for over 50 yrs. I know what value for money is.Today I received my Eastwood 1/2 Inch drive Digital Torque Wrench and put it to work on my car. What a versatile tool to a DIY tool kit ! Thank you EASTWOOD.Regards Francis. If i can learn to correctly program this tool and it does its job,it should get stars. I have been a mechanic for over 35 yrs. 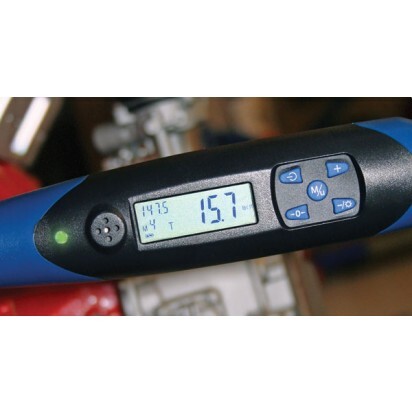 and never owned a digital torque wrench but when I saw the price and high ratings of this one I thought why not! After all, the torque wrench I had was several yrs. old and most likely not real accurate any more and getting it calibrated would cost nearly as much as this wrench cost to purchase. Took me a little bit to adjust to the sequence of the buttons as IMO they aren't marked as good as they could be. The funky button sequence is the only reason I didn't give it 5 stars. Once I had the hang of it I love it. Today I assembled an engine and having the multiple memories was great when torqueing the various fasteners in multiple steps. Saves you a lot of time and effort since you no longer have to twist the handle of the wrench (i.e. a clicker type) every time you need to torque something different. Just push a couple buttons and your there. The wrench is a bit bigger and heavier then expected but works fine with a minor wrinkle - it's somehow sensitive to batteries brand name, I couldn't make it to work with Duracell, the wrench shuts itself off as soon as I apply a minimal torque. After I replaced batteries with those supplied with the wrench, it seems to be working fine. Although I like the smoothness of the 72-tooth ratchet head, the all too frequent locking up of the medium sized digital display during the programming stages is a bummer. But I like Eastwood's tubing pliers, they work great.